An East Millinocket man arrested earlier this month in Alabama pleaded not guilty Friday at the Penobscot Judicial Center to charges that stemmed from a home invasion last year that left a Millinocket man dead and his wife seriously injured. Tony Locklear, 43, and Christopher Murray, 38, of Red Springs, North Carolina, were indicted in February on one count each of intentional or knowing murder, elevated aggravated assault and robbery. The two allegedly shot Wayne Lapierre, 59, and his wife, Diem Lapierre, 33, in their Millinocket home on Dec. 19. Wayne Lapierre died of bullet wounds three days later in a Bangor hospital. His wife survived her injuries, according to police. Locklear’s 21-year-old daughter Alexis Locklear of Maxton, North Carolina, remains jailed in that state refusing to waive extradition to Maine, according to the Maine attorney general’s office. She is charged with felony murder and robbery in connection with the attack and is reported to be Murray’s girlfriend. So far, prosecutors and state police have declined to provide details of the shooting or what motivated it. The affidavit remained impounded Friday. Lapierre grew medical marijuana at several sites and owned property and a construction company in Millinocket. On Friday, Superior Court Justice William Anderson ordered Tony Locklear held without bail. Murray has been held without bail at the Penobscot County Jail since his first court appearance on Jan. 16. The judge has asked Bangor attorney Jeffrey Silverstein to take the case. Silverstein’s associate, Harris Mattson of Bangor, handled Locklear’s first appearance. Penobscot County District Attorney R. Christopher Almy stepped in for Deputy Attorney General Lisa Marchese, who is prosecuting the case along with Assistant Attorney General Robert “Bud” Ellis. Murray’s arraignment date has not yet been set, according to the court clerk’s office. Anderson tentatively set the trial of the trio for January 2019. 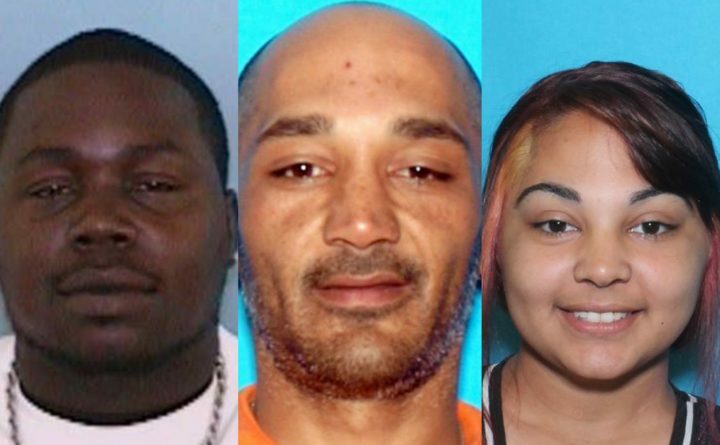 In addition to the Maine charges, Tony Locklear has been charged with murder and first-degree kidnapping in connection to the slaying of Braxton Chavis Jr., which took place on Dec. 4 in Maxton, North Carolina, according to North Carolina media.